Color schemes for the Exterior of your Home- A new Trend! Whether you have lived in your home a long time, just bought a used home or are building a new home choosing a color scheme for the outside of a home is just as important as the inside. What’s trending for 2018 is choosing 3 complimentary colors for your exterior. Your first color is the “field color” that color will be the dominating color throughout the exterior, for example: siding on a home. The next color is “trim color” which is for trim around windows, railings, door casings, trim around the roof edge, etc. 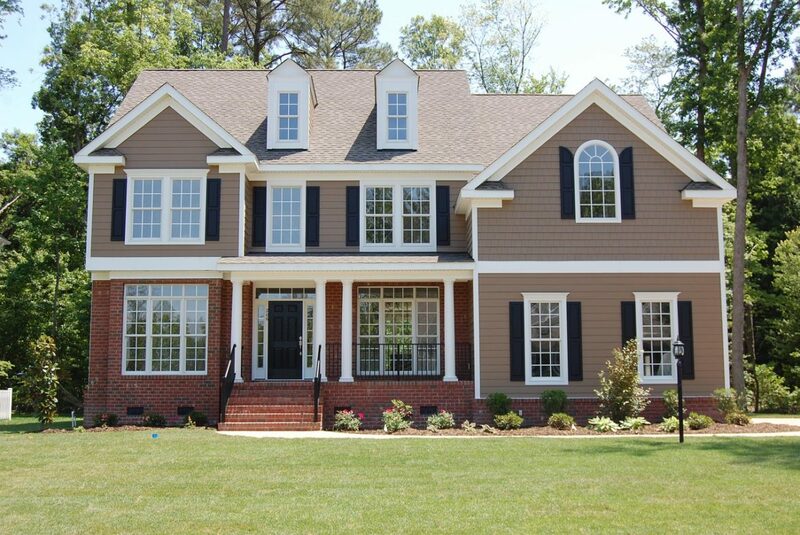 Your trim color should contrast greatly with the field color. If your field color is dark then the trim should be pale or white and vice versa. Finally the third color is the “accent color” which is for smaller areas you want to spotlight such as doors and shutters. If you are looking for a change, renovating or want to build –contact Neuberg Construction and share your design ideas with us. We will be happy to make your ideas a reality! Is it time to replace my siding? Bet you didn’t know this about siding!